MANILA, Philippines – Reigning MVPs Jessie Lacuna and Chloe Daos set in motion Ateneo de Manila University's bid for a golden double, as they won two golds in the first day of the UAAP Season 81 swimming competition on Thursday at the Rizal Memorial Swimming Pool. Lacuna ruled the men's 800-meter freestyle with a time of 8:33.98 to lead the Blue Eagles' 1-2-3 finish in the event, then returned later in the afternoon by winning the 100-meter freestyle with a clocking of 52.18. Season 79 MVP Aldo Batungbacal also bagged a men's gold for Ateneo in the 200-meter individual medley with 2:09.49 to go with his 800-meter freestyle silver (8:46.39). Rookie Ianiko Limfilipino finished second in the 200-meter freestyle behind Batungbacal (2:12.48) and completed the Eagles' podium finishers in the 800-meter freestyle, finishing third with 8:59.31. Daos, who was also last year's women's top rookie, set a new league record in the 800-meter freestyle with 9:24.51, erasing the old mark of 9:26.11 by Kim Uy of the Lady Eagles in 2014. A silver medalist in the 41st Southeast Asian Age Group Swimming Championships in Brunei, Daos also emerged triumphant in the women's 100-meter freestyle with 59.62, besting her teammate Andrea Ngui (59.70). 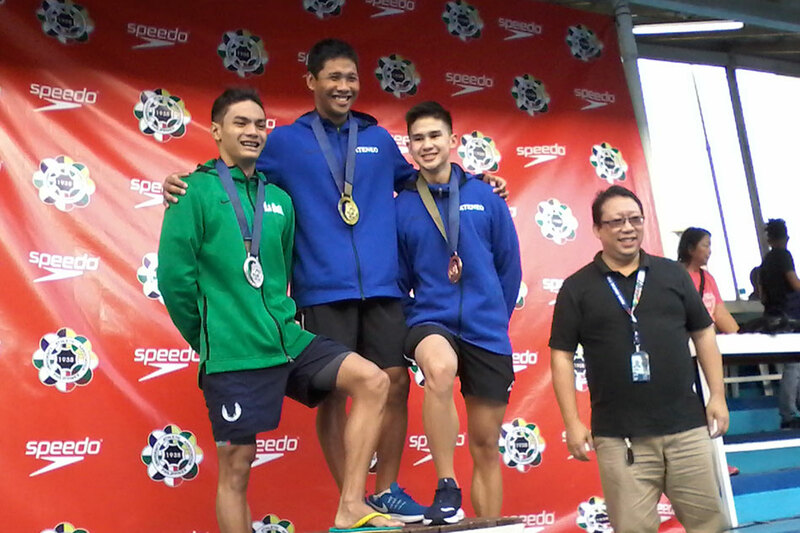 De La Salle University swept the opening day men's relay events, capturing the gold in the 200-meter medley (1:48.87) and 800-meter freestyle (8:14.02). University of the Philippines, one of Ateneo's biggest threat in the women's throne, also shone as Nadine Tee Ten ruled the 200-meter individual medley event with 2:31.87, while its 200-meter medley relay team (2:06.93) and 800-meter freestyle relay team (9:25.18) won their respective events. 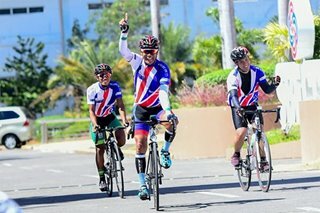 The Eagles are gunning for their fifth consecutive men's title while the women's tankers are eyeing to make it two in a row. The UAAP swimming competition runs until Sunday.